So Barcelona are European champions again. With Georgio Chiellini ruled out of the final, Patrice Evra had to justify the game’s other over-hyped sub-plot. And justify it he did - failing to react to Buffon’s parry and allowing Luis Suárez to nip in and crash the rebound home. But there was another barely-mentioned subtext to this game that deserves some thought. In May 2008, Manchester United sold a 21-year-old Gerard Piqué to Barcelona for £5m. That same summer, United got £5.5m from Sunderland for Kieran Richardson. Fast-forward 5 years. In the summer of 2012, Paul Pogba walked away from Old Trafford to join Juventus. For free. A month earlier, United paid £4m for Crewe teenager Nick Powell. In a recent Telegraph poll, Pogba (45%) and Piqué (19%) were ranked as Ferguson’s two biggest Old Trafford failures - bigger even than the Jaap Stam (18%) and Bebé (7.5%) debacles. Of course, hindsight is always 20/20. The fact that Piqué has become one of the most decorated defenders in the history of the game with club and country, and the fact that Pogba is now regarded as the hottest midfield ticket in world football, doesn’t automatically mean it was a mistake - at the time - for either player to leave. Nor should this be to blame for United’s subsequent struggles at the centre of their defence and midfield. After all, not all players who achieve world class calibre showed the potential for it by age 22. Ferguson, of course, would point to obvious justifications for both departures. Piqué was homesick and longed to rejoin his boyhood club. And, in Nemanja Vidić and Rio Ferdinand, United had one of the finest centre back pairings in the world. With Pogba, Ferguson would say he did all he could to convince Pogba he was part of United’s future - giving the Frenchman his Premier League debut aged 18. But, in the end, the player showed a ‘lack of respect’ after having his head turned by agent Mino Raiola. Just desserts for the Manchester club perhaps, given the way they lured Pogba from Le Havre in the first place. Regardless, it was difficult to watch both players contest Saturday’s Champions League final without indulging in a few ‘what ifs’. Could United’s recent struggles and the questionable legacy of Ferguson’s final years as manager been avoided? 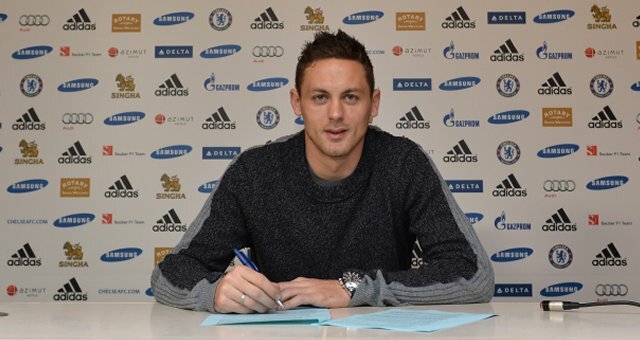 Who will be the next Nemanja Matić? Here’s a legitimate question: Which member of Chelsea’s 2014/15 loanee diaspora will become the superstar that slipped through Mourinho’s net? In 5 years time, will we scratch our heads at how outstanding Croatian goalkeeper Matej Delač could possibly have walked away from Stamford Bridge for free? Will Gaël Kakuta be setting the Eredivisie alight, prompting Chelsea to re-sign a player they acquired in 2008 and sent out on 7 successive loan spells until 2015? This scenario has clear precedent. In January 2011, after completing half of a season-long loan at (you guessed it) Vitesse Arnhem, Nemanja Matić was gifted to Benfica along with £21m for Brazilian haircut David Luiz. Three years later, Chelsea paid the same sum to bring the impressive Serbian back to west London. But this is what we should expect now, isn’t it? Watching the centerpiece event of world club football, both sides should be littered with talent that got away from one big club or other. Because that’s how youth football works now. What Piqué and Pogba - and Matić - are is a damning indictment of elite level youth and reserve team football. Utterly pointless and bereft of any meaning whatsoever, elite clubs have decided to simply outsource the development of their potential stars to Europe’s second tier sides. Appear at small club, sign for huge club at young age, complete string of loan spells with Europa League clubs in Holland, Switzerland, Portugal or Belgium. Sign permanent deal with club at this level, move to Champions League club after two or three impressive campaigns. See Nemanja Matić. Appear at huge club… repeat experience of 1. See... Gerard Delofeu? You see? There is no difference, whether you come through at Burnley or Barcelona. With the financial clout that they have, the game’s biggest clubs know there’s no real gamble in letting young players leave. They can snaffle and discard smaller clubs’ promising talents on a whim, safe in the knowledge that buy-back and first-option clauses leave them just a cheque away from striking Piqué-sized clangers from the record.